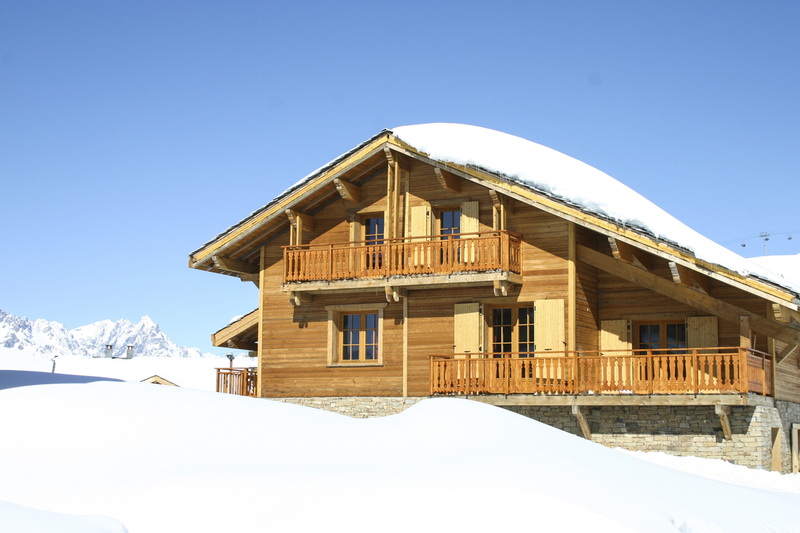 Beauty, convenience and comfort combine delightfully in this sublime seven-bed chalet in the perfectly picturesque setting on the slopes of Alpe D’Huez. 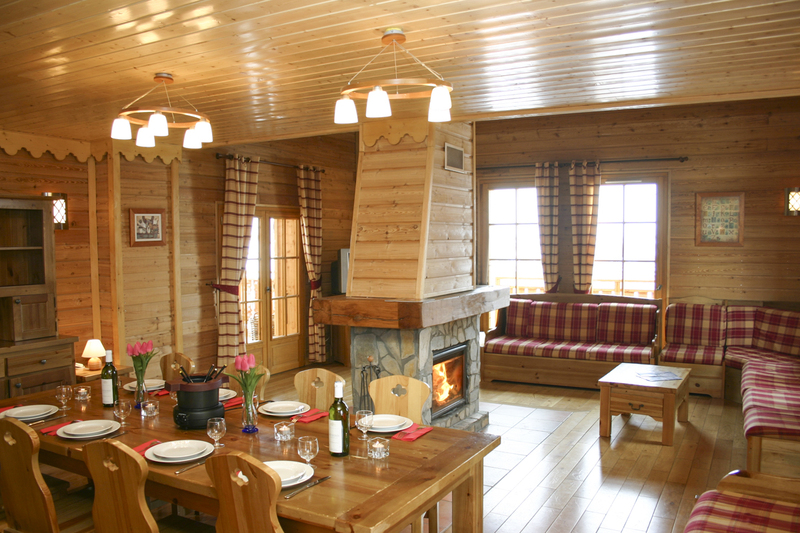 Three storeys of Aloine charm await you inside the chalet. 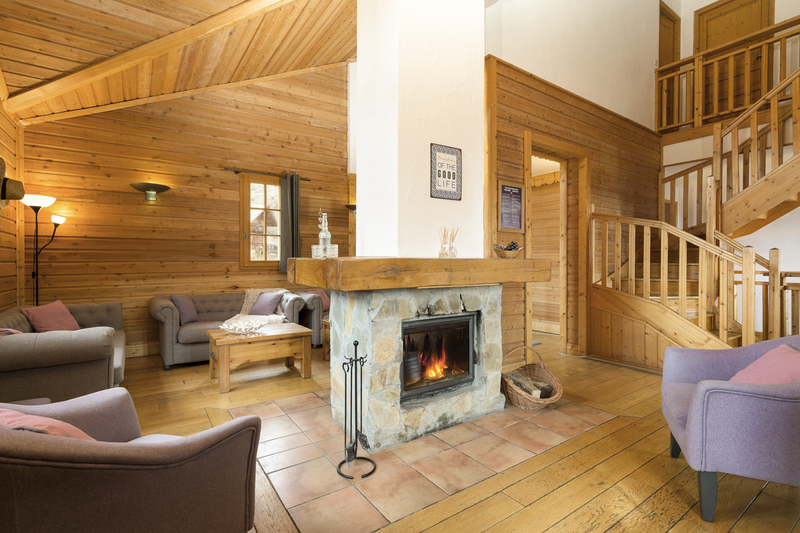 There is a perfectly warm and cosy living area with space for all the group to gather in front of the fireplace – and there’s even complimentary firewood so you can get your feet up and get warm the moment you arrive! 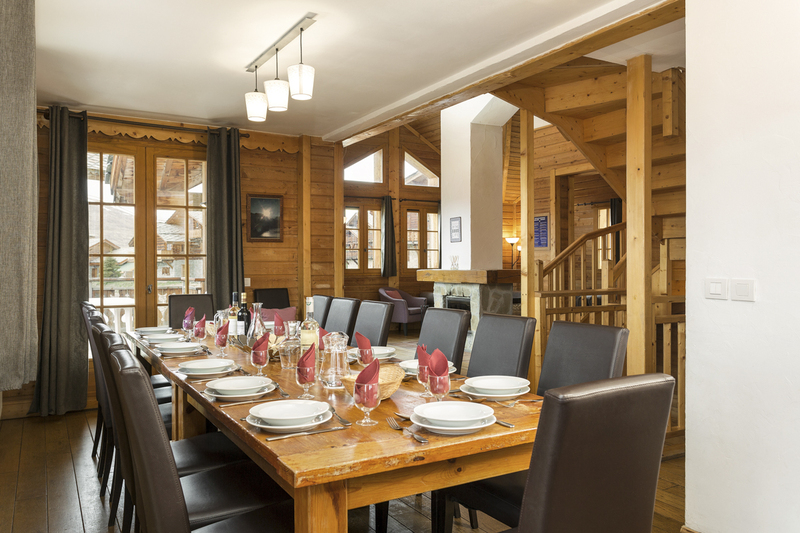 A large dining table stretches across one side of the chalet, offering space for everyone to enjoy mealtimes together. As well as this, a large American-style kitchen is fully equipped with all modern amenities, including a stove, oven, microwave, dishwasher, fridge, plus all crockery and pans, ensuring you can prepare a meal together, saving you a trip out if you feel like a cosy night in. 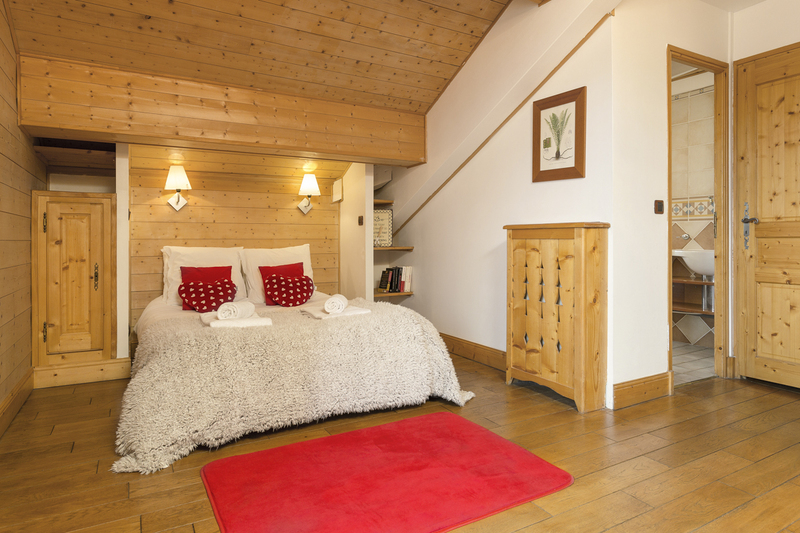 There are seven fantastic bedrooms, accommodating up to fifteen guests, with two on the ground floor. Six of the rooms have two single or one double bed, while the seventh room has three single beds, ideal for a group of friends or children. 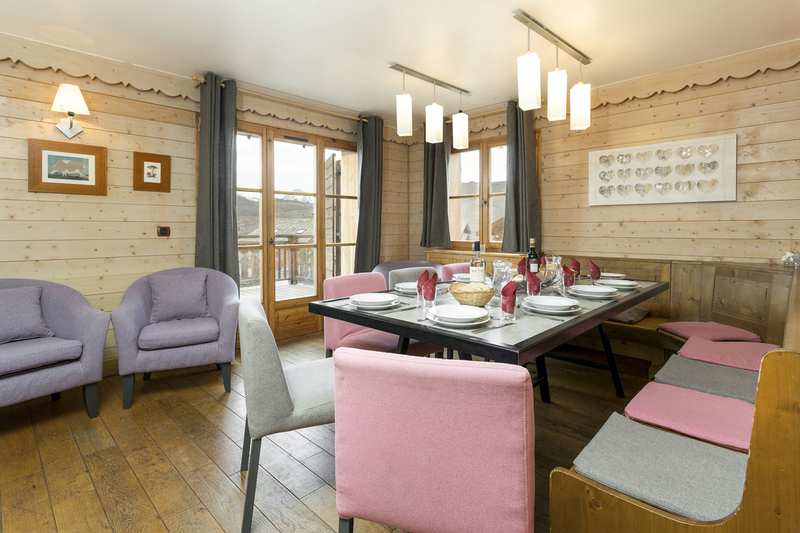 All of the rooms embody the same soft charm of the Savoyard style, with soothing lighting and beautiful décor. 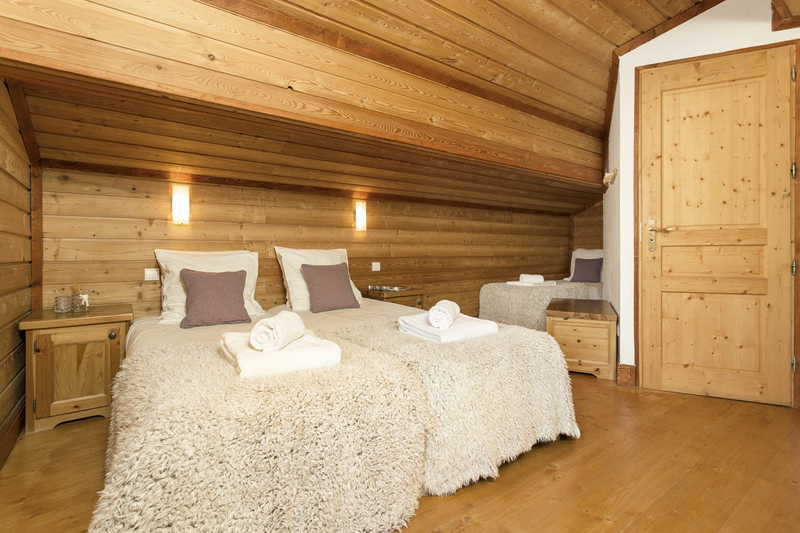 Each of the seven rooms is complete with a private ensuite bathroom, a bath or shower. In each of the seven bathrooms, you will find complimentary dressing gowns, slippers and toiletries for all guests. Several of the rooms also have a balcony or terrace with the best views in the house of the incredible surrounding landscape. Be sure to enjoy it with your morning coffee or perhaps an afternoon aperitif. 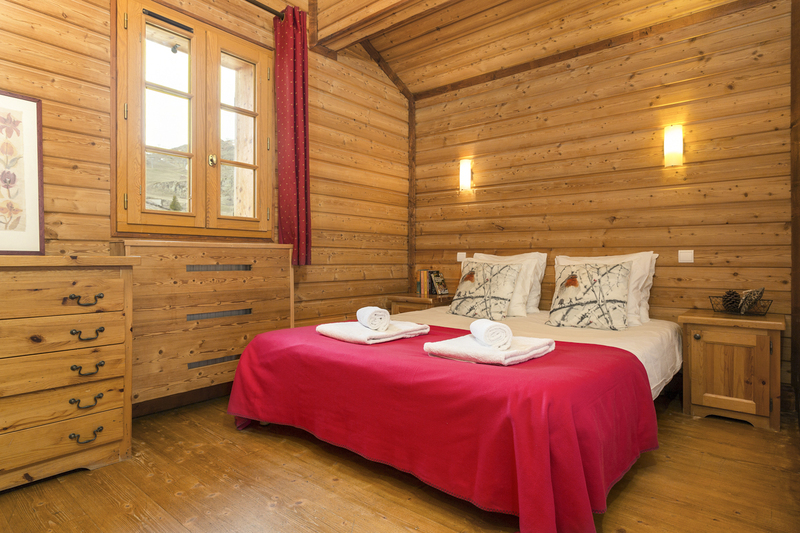 Chalet Hugo also offers guests the opportunity to relax in the sauna after a day out on the mountain – the perfect way to unwind! With both a private terrace and private parking, you have plenty of space and very little to worry about during your stay. 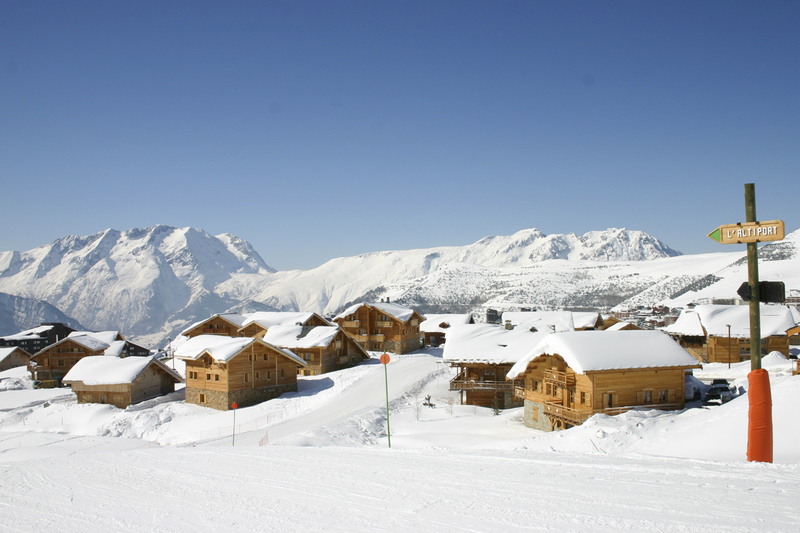 Just 500m away is the main ski lift, served by a free shuttle bus from your chalet throughout the day, keeping you easily connected, while the centre of Alpe d'Huez itself is about 1 km away. Within this radius, there are numerous bars, restaurants and boutiques. Resort also has as a swimming pool, leisure centre, ice rink and cinema. There’s even a free shuttle bus which frequently runs to the resort centre, keeping you easily connected. 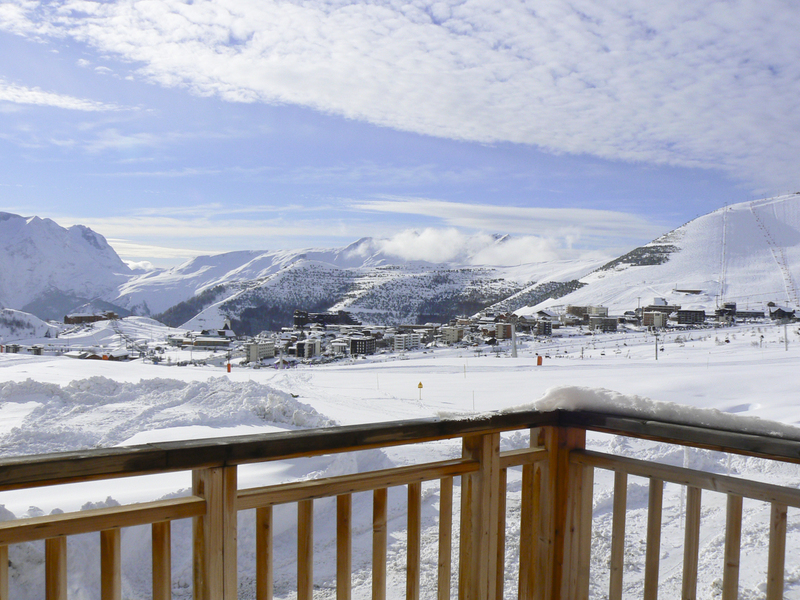 Located right on the ski slopes of the Alpe d'Huez Grand Domaine, Chalet Hugo offers guests luxurious ski-in/ski-out accommodation in a peaceful area high up the mountain, just 500m from the Bergers lift. 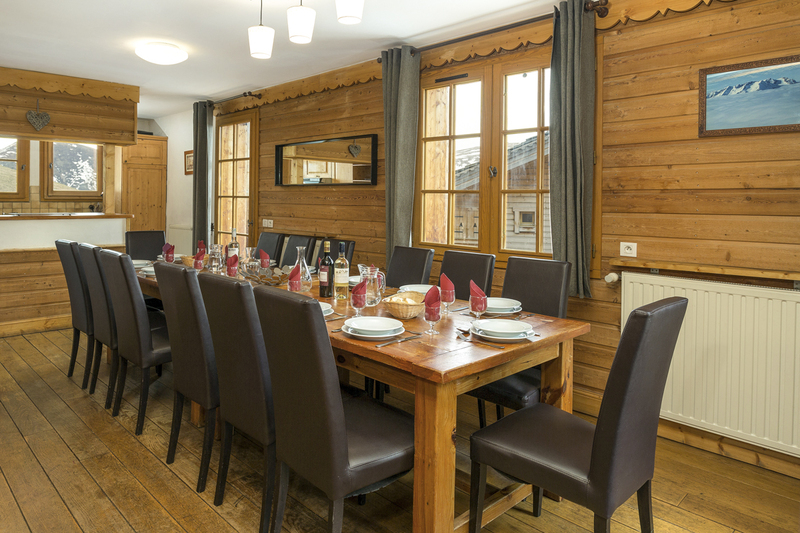 At Excellence Luxury Villas we pride ourselves on going that little bit further for our guests, so for every ski chalet in our collection we can arrange those optional extras that make it a truly memorable ski holiday.